“God never gives you more than you can handle…” You sure about that? How often do you hear that phrase or something similar? I can’t walk ten feet without hearing somebody say it. Let’s take this in context too by the way. When a phrase like “God never gives you more than you can handle,” is uttered, it is almost always in the tone of consolement. Consolation and solace are being offered to someone who is experiencing a rough patch or going through an emotional toil. You’ve all witnessed it and may have even said it yourself. God actually does give you more than you can handle, and for good reason. If you really delve into 2 Corinthians 1, you start to see it become clear. “Burdened beyond our strength” and such… Isn’t that admitting it was too much for Paul? …And what happened you ask? God delivered them. Why? Because they believed in Him. 2 Corinthians 8-11 flesh this out, if I’m taking the context correctly, and I believe I am. 2 Corinthians 1:8-11 – For we do not want you to be unaware, brethren, of our affliction which came to us in Asia, that we were burdened excessively, beyond our strength, so that we despaired even of life; indeed, we had the sentence of death within ourselves so that we would not trust in ourselves, but in God who raises the dead; who delivered us from so great a peril of death, and will deliver us, He on whom we have set our hope. And He will yet deliver us, you also joining in helping us through your prayers, so that thanks may be given by many persons on our behalf for the favor bestowed on us through the prayers of many. Pray for others so God may help them. Pray in thanks that the Lord does these things. Know that you can be dealt a terrible blow, and He can get you through. 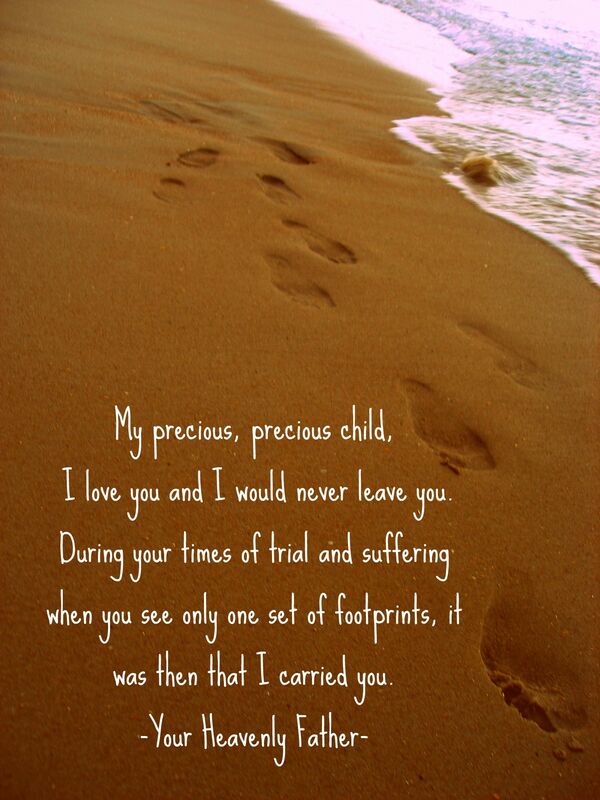 I’m reminded of the ‘footprints in the sand’ when I think about it in that context, as should you. Be salt. Please my friends. Seek light.